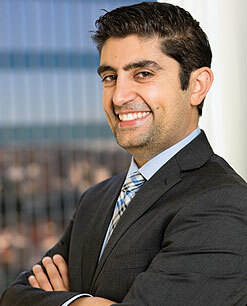 Dr. Yoram Kohanzadeh | Smile Angels of Beverly Hills - Bruce Vafa DDS. Our prestigious Orthodontist is a two time graduate of UCLA, where he received his Bachelor ofScience and his Doctorate of Dental Surgery. He finished his orthodontic training at UMDNJ, and haspracticed in New Jersey and New York. While on the east coast he taught and provided lectures at UMDNJand at New York’s Montefiore Hospital Orthodontic Program. We are happy to say that he is now established in Southern California and provides orthodontic treatment in*house for our patients. He is trained and uses a variety of orthodontic modalities. These include the newest techniques andbrackets such as self*ligating brackets and in the use of orthodontic TADs (temporary anchorage devices). Dr. Yoram Kohanzadeh is trilingual, speaking English, Spanish, and Persian/Farsi. He believes it is important to be able to communicate with his patients and their parents himself, as he feels it is important to let his patients know that he is interested in their care. He is energetic and greatly enjoys orthodontics and working with his patients to deliver them their unique smile and to positively reinforce their self image. He is a graduate of UMDNJ’s Orthodontic program, now Rutgers University Hospital. He selected a 3 year postgraduate residency, as opposed to the old 2 year programs. And he was the crainiofacial resident who worked on the patients with multiple specialty doctors on the care of special needs patients, such as those with cleft lip and palates. He obtained both his DDS and BS from our local UCLA. He is involved with many of local programs and societies. He even goes to local schools and helps on dental awareness days with other specialists and the general dentists. He has been involved in providing free care internationally, and has done so in Mexico as well. He is part of the AAO, PCSO and CAO. He is currently a committee member of the NYM board of the PCSO. He prides himself on providing all aspects of orthodontic care in a skillful and professional manner. He is a Level II certified Invisalign provider, and is certified and use Clear Correct. He is certified and uses lasers in some of his offices when needed. A special compounded pharmaceutical gel allows for some soft tissue procedures to be done with no need for needle anesthesia. He is up to speed on most of the newer orthodontic philosophies, including Damon and self ligating principles. He also utilizes orthodontic Temporary Anchorage Devices for more complicated and advanced cases. He keeps up with the latest cutting edge technology and advanced techniques that can dramatically reduce treatment time and increase comfort! His hobbies include cooking, hiking, technology and cars. In fact Dr. Kohanzadeh has one of the first bluetooth smart watches! He would love to know about your hobbies too. If you would like any additional information or have questions please contact our office at your convenience.